The SupaScoota Shopper has a small turning circle and a lightweight frame, meaning that it can navigate those shopping aisles with ease. Price excluding VAT.(Incl. VAT £1,554) *VAT Relief available on this product. 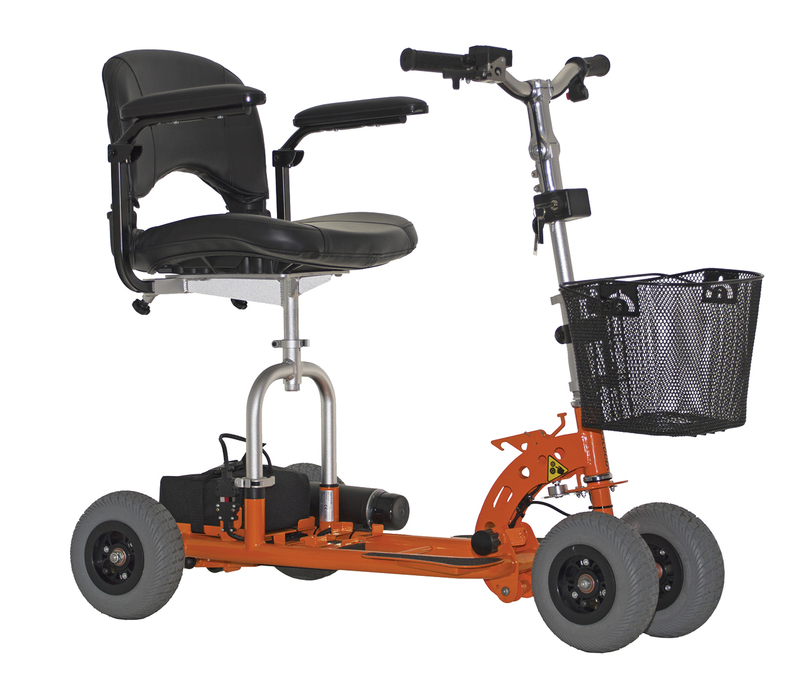 If you're looking for a mobility scooter to zoom down the shops and back, then you can't go far wrong with the SupaScoota Shopper. The lightweight frame and tight turning circle will help you weave through a busy crowd in the high street, even more helpful is the automatic braking system which kicks in as soon as the throttle is released. For those moments when you turn a sharp corner, the electronic stability control will slow the scooter and ensure you remain steady. The SupaScoota Shopper has been designed with portability in mind. It can be dismantled in seconds so you can transport it by car, train, aeroplane, coach, or cruise ship. But if you just want to use it for everyday use, then it'll be perfect for browsing those busy shopping aisles.